Tong Taverners Are Looking For New Opposition – Do You Fit The Bill? 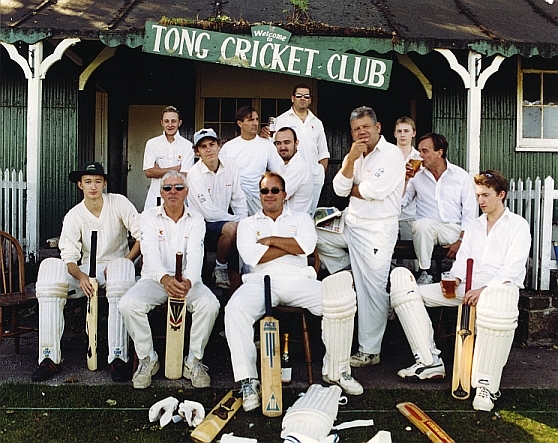 Following the demise of the Saturday League team the only team currently playing cricket in Tong village are Tong Taverners, a friendly social cricket team consisting of a somewhat aged but enthusiastic membership. The Taverners usual opposition are a few “proper” cricket teams as well as teams made up from local companies. We are however well placed to accommodate touring teams as there is a Holiday Inn less than half a mile from the ground and the ground itself is situated behind the Greyhound pub in Tong Village. 20/20 matches are played on Tuesday evenings throughout the summer and weekend games can either be 20/20 or a longer format to suit requirements. To encourage a wide participation of players we usually ask each player to bowl 2 overs and when batting you retire on 25 but are able to come back in should the rest of your team be dismissed. We do not play LBW as a rule due to the lack of impartial umpires and the fact everyone hates being out this way!! These “laws” are not set in stone and are open for discussion.